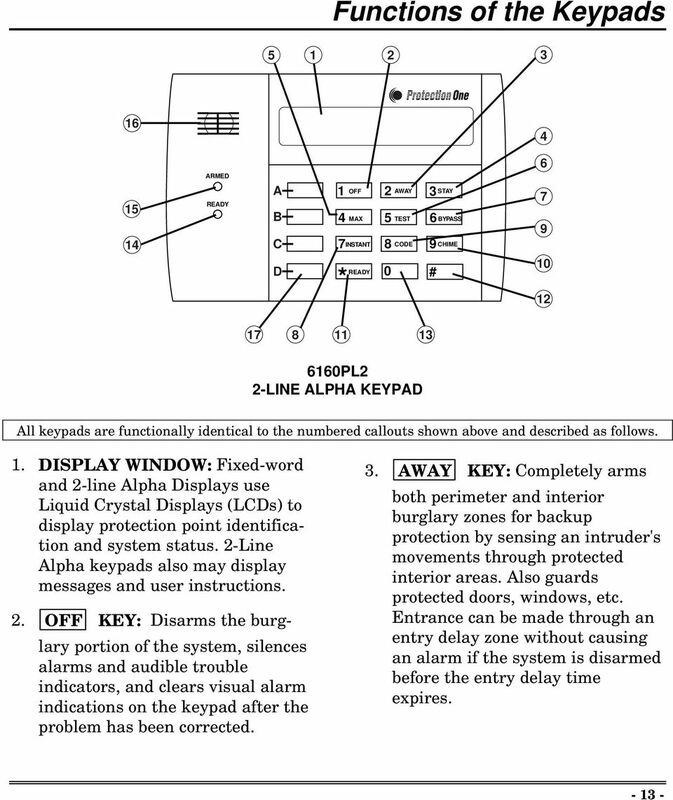 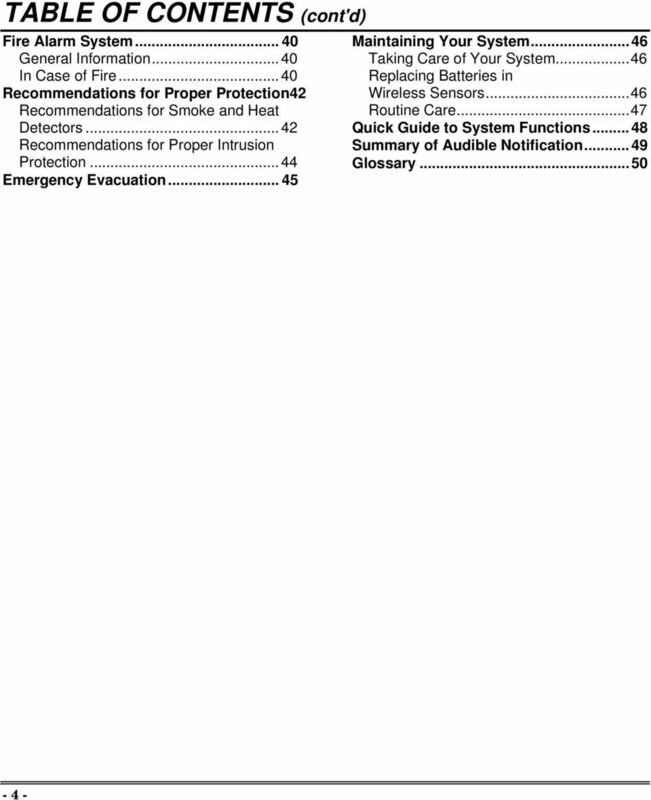 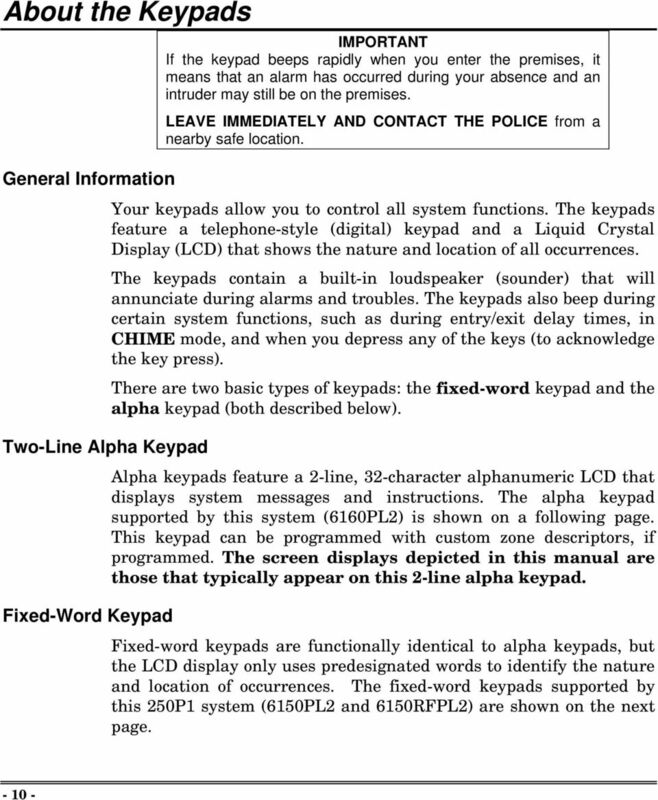 Download "3 6HFXULW\6\VWHP 8VHU*XLGH K4333 9/99 AWAY BYPASS STAY ALARM FIRE ARMED OFF AWAY STAY READY MAX TEST BYPASS INSTANT CODE CHIME"
6 System Overview (cont'd) The system also provides a CHIME mode, for alerting users to the opening of protected doors and windows while the system is disarmed. 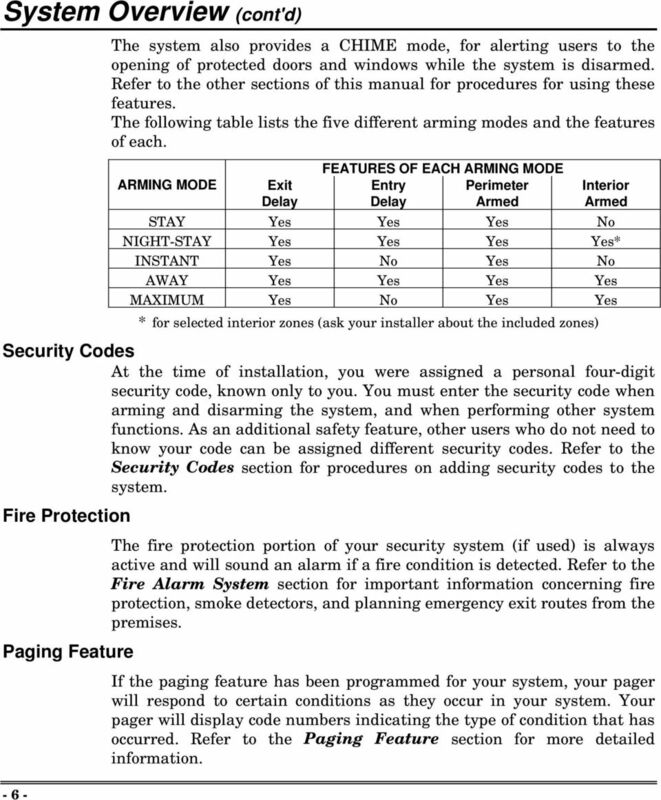 Refer to the other sections of this manual for procedures for using these features. 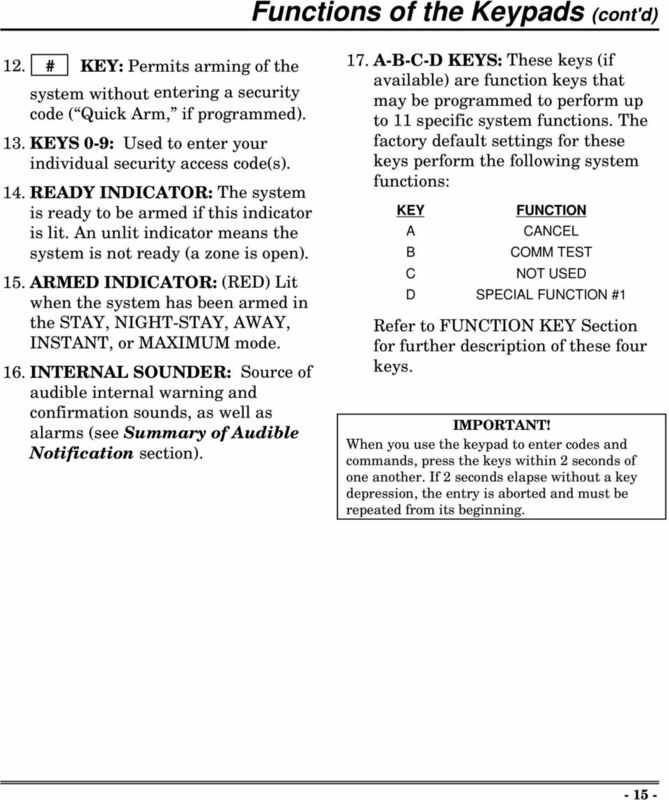 The following table lists the five different arming modes and the features of each. 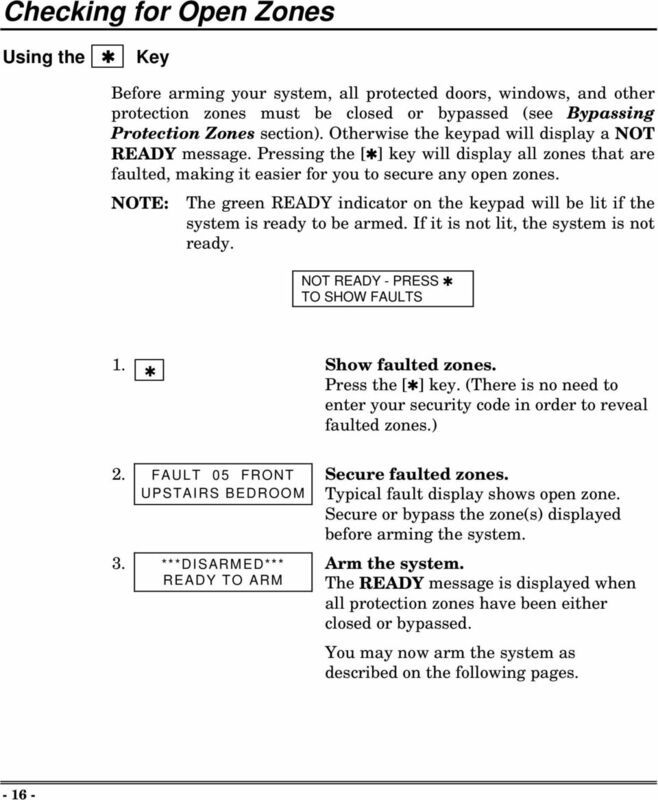 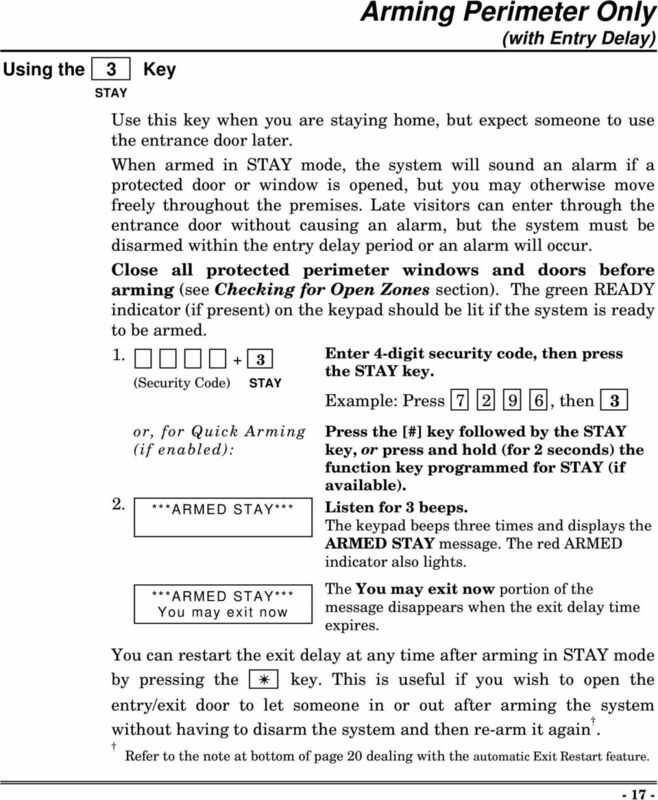 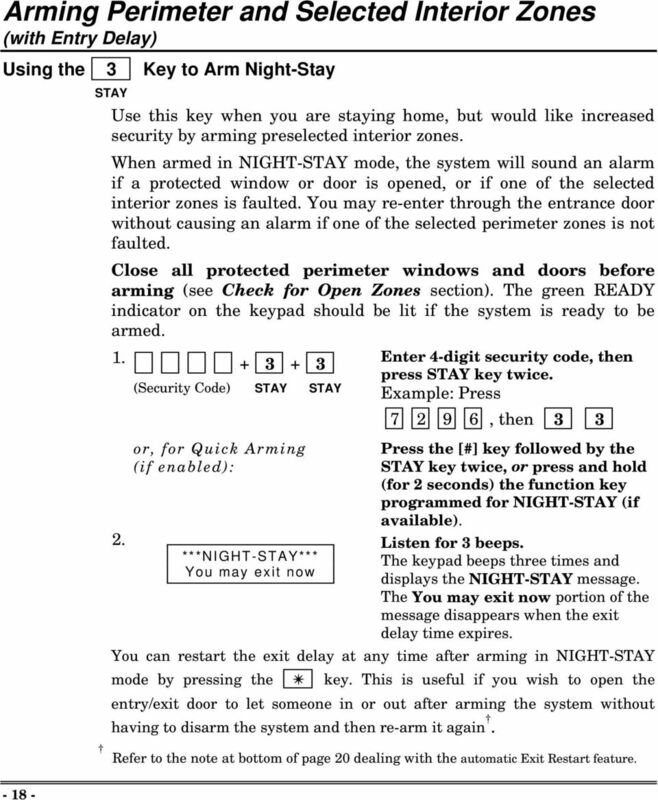 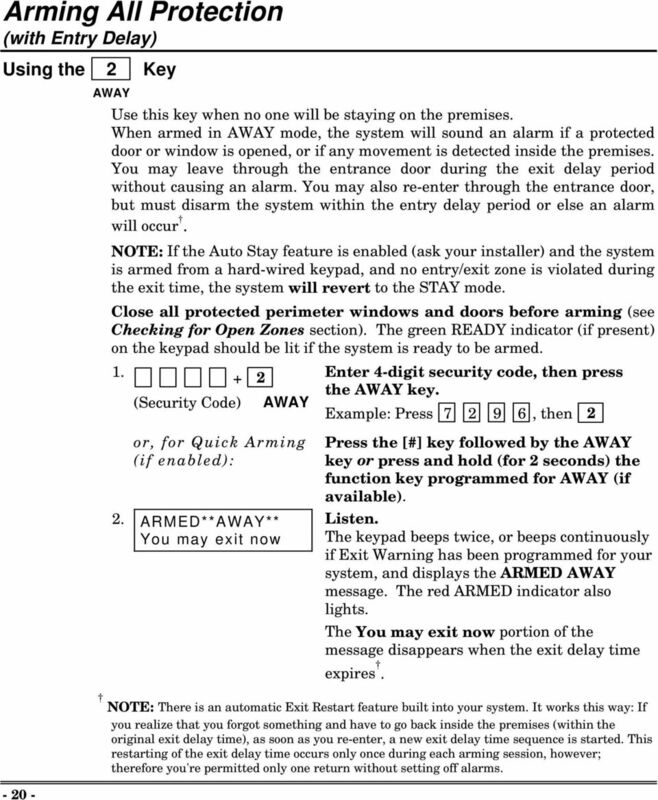 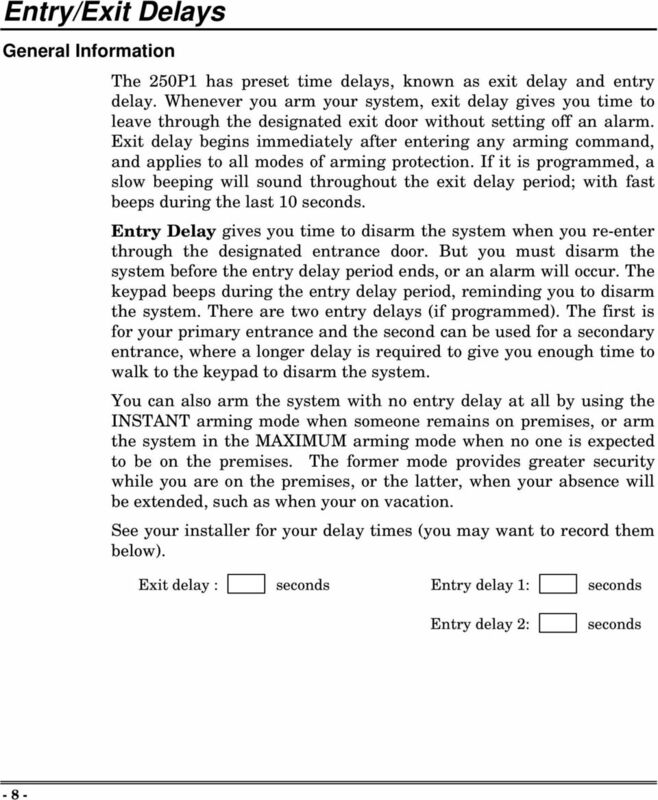 ARMING MODE Exit Delay FEATURES OF EACH ARMING MODE Entry Perimeter Delay Armed Interior Armed STAY Yes Yes Yes No NIGHT-STAY Yes Yes Yes Yes* INSTANT Yes No Yes No AWAY Yes Yes Yes Yes MAXIMUM Yes No Yes Yes * for selected interior zones (ask your installer about the included zones) Security Codes At the time of installation, you were assigned a personal four-digit security code, known only to you. 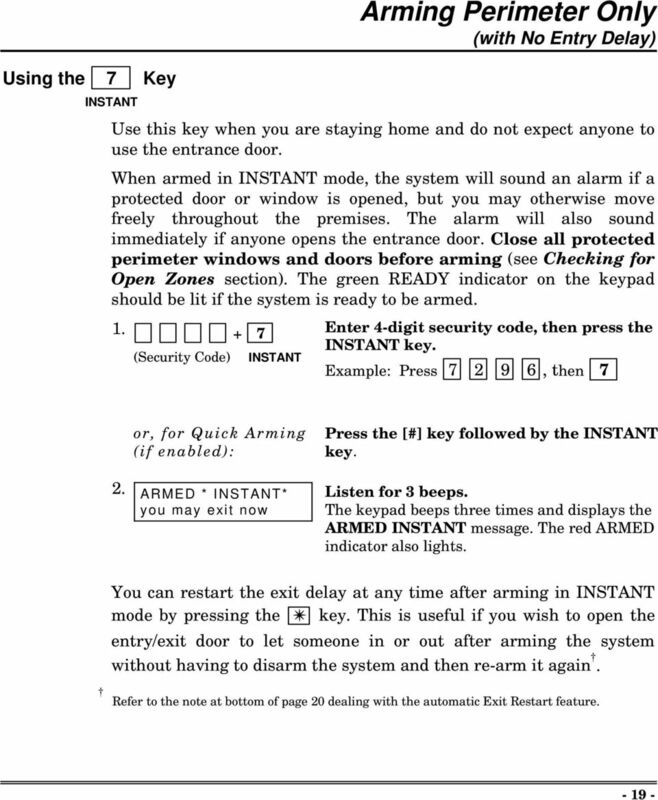 You must enter the security code when arming and disarming the system, and when performing other system functions. 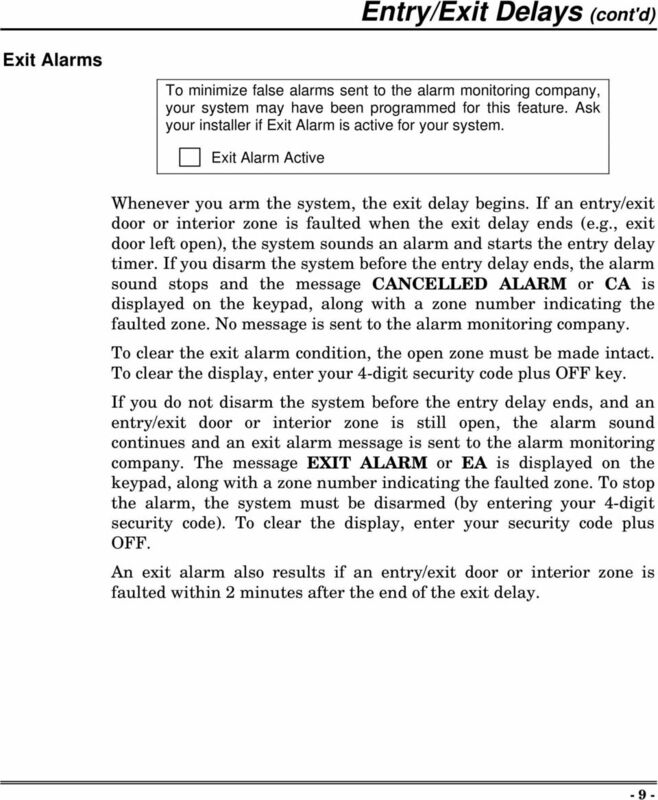 As an additional safety feature, other users who do not need to know your code can be assigned different security codes. 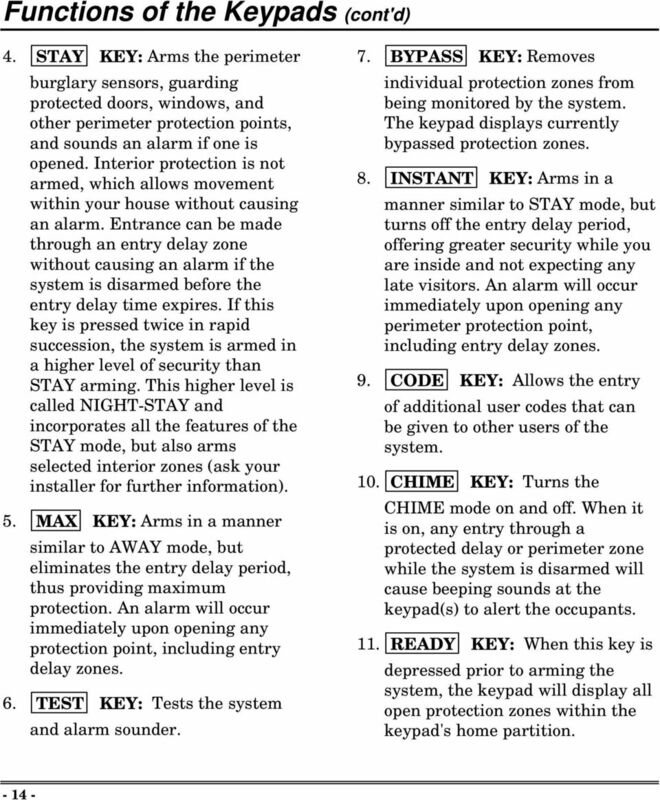 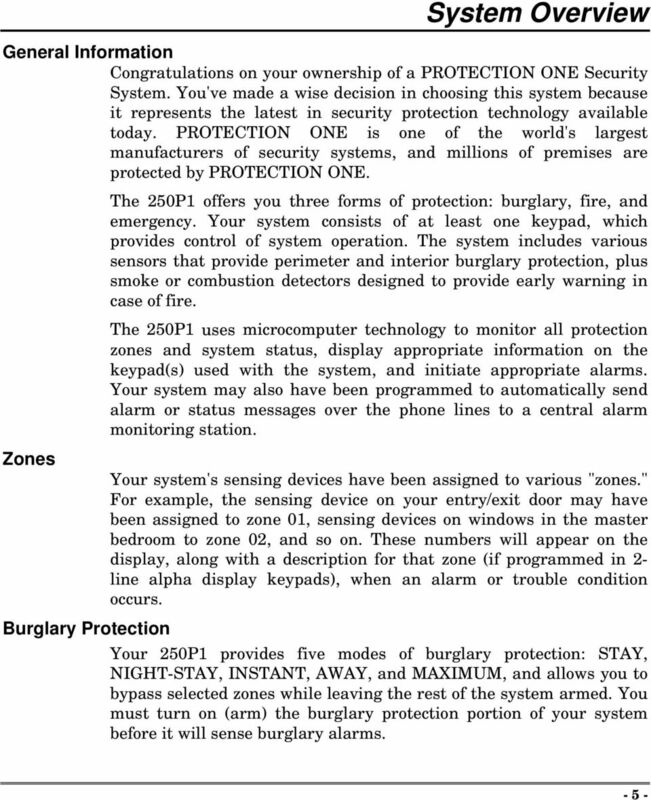 Refer to the Security Codes section for procedures on adding security codes to the system. 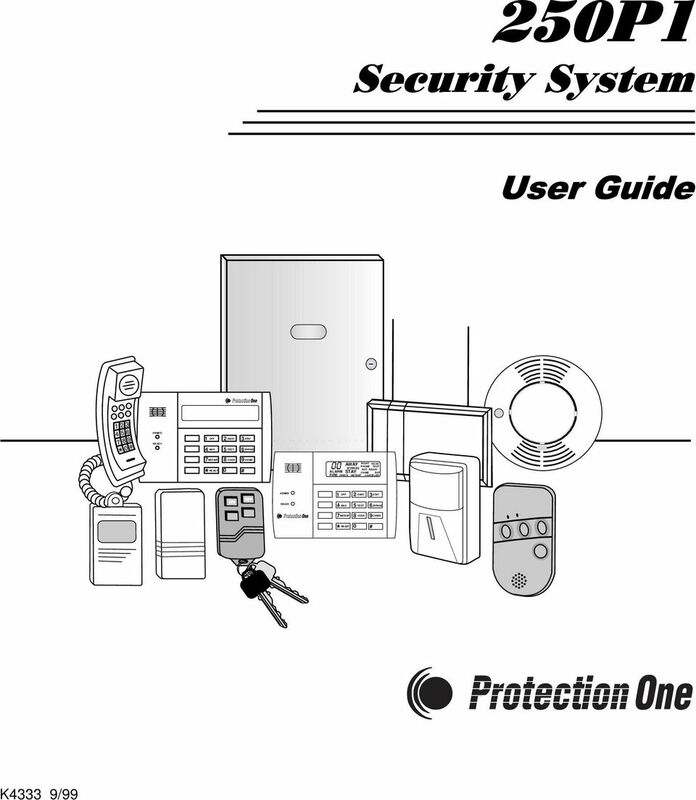 Fire Protection Paging Feature The fire protection portion of your security system (if used) is always active and will sound an alarm if a fire condition is detected. 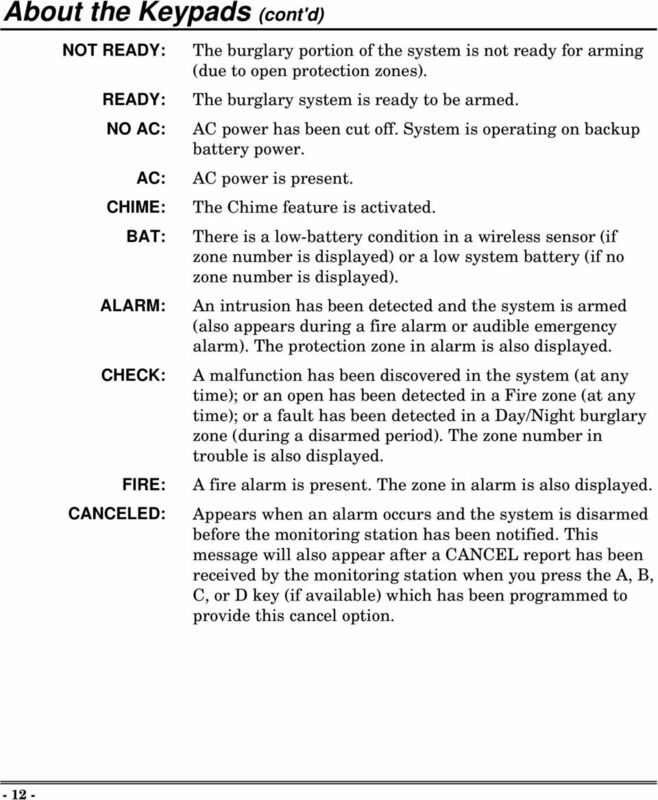 Refer to the Fire Alarm System section for important information concerning fire protection, smoke detectors, and planning emergency exit routes from the premises. 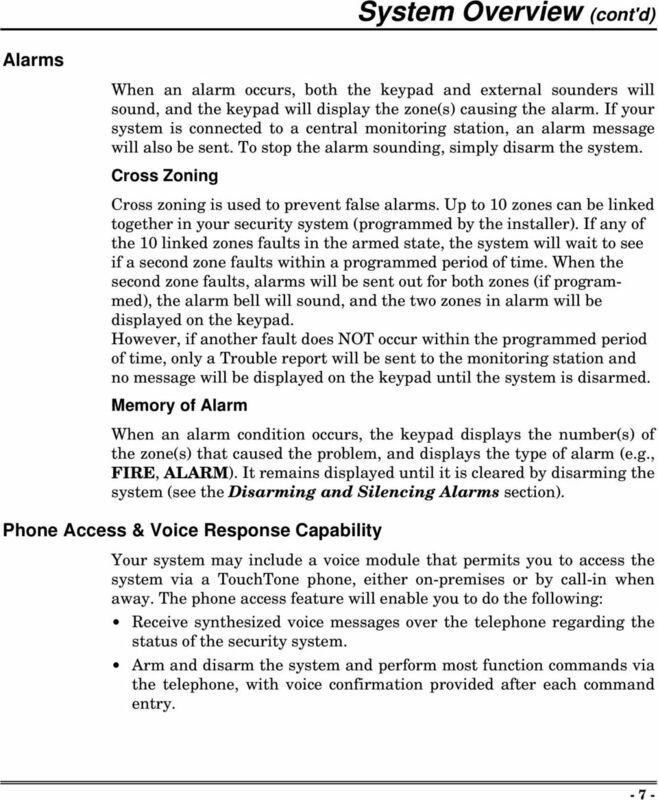 If the paging feature has been programmed for your system, your pager will respond to certain conditions as they occur in your system. 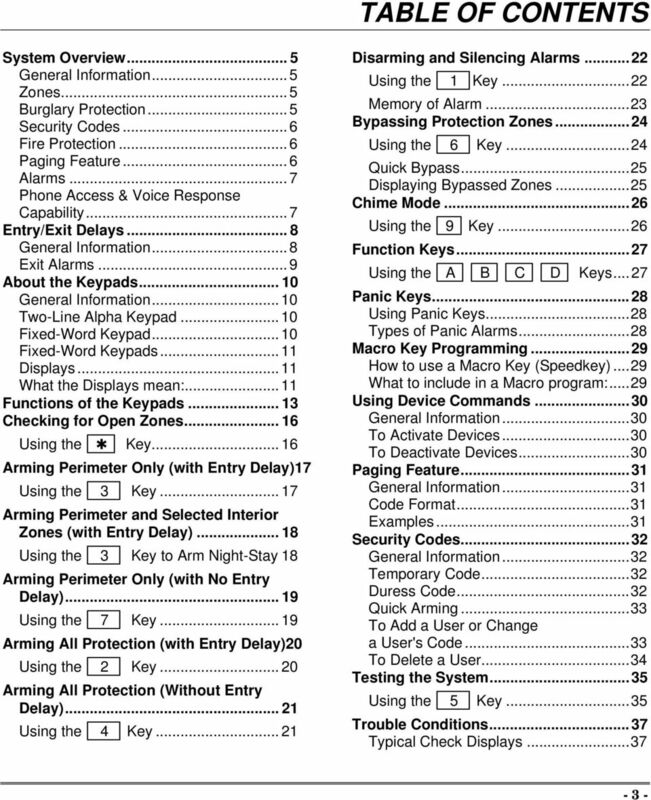 Your pager will display code numbers indicating the type of condition that has occurred. 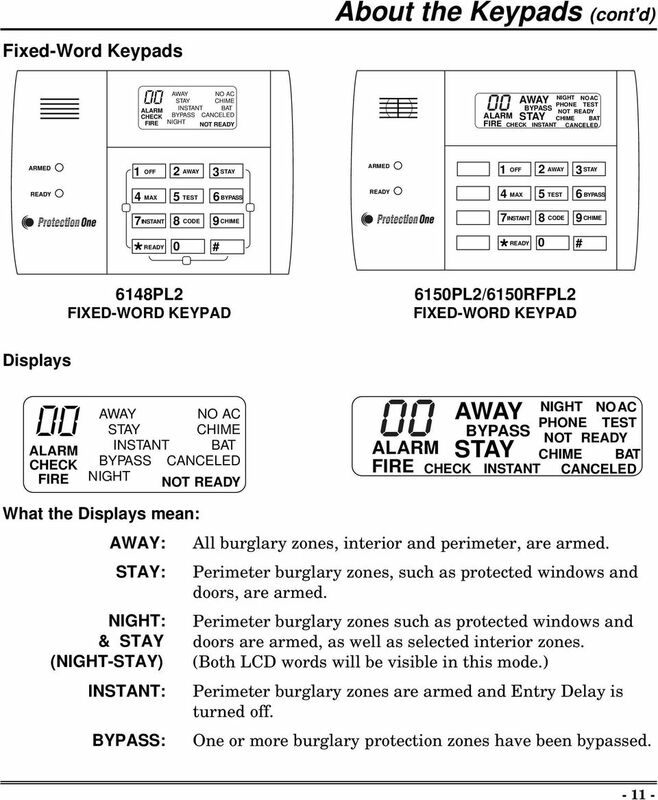 Refer to the Paging Feature section for more detailed information.